When travelling with a child between 11 and 15, you must upgrade to a private room. Children aged 16 & 17 can travel on their own with written parental consent. Please contact our team to discuss. 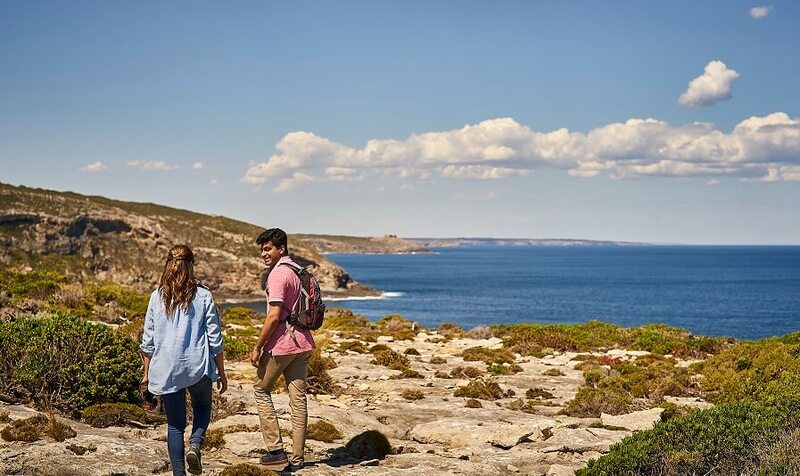 Explore everything Kangaroo Island has to offer on this two-day tour that takes in the stunning wildlife and beautiful scenery that characterises this part of Australia. 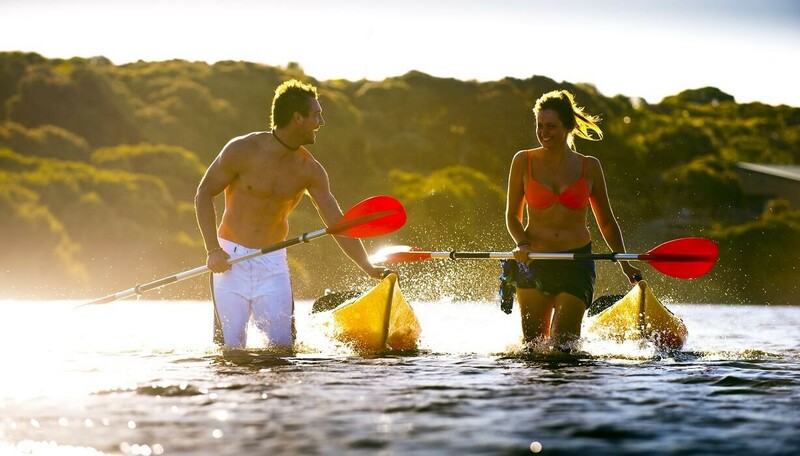 You’ll get to hike, take ferry rides, kayak around the coast, and tuck into traditional Australian cuisine as we go. 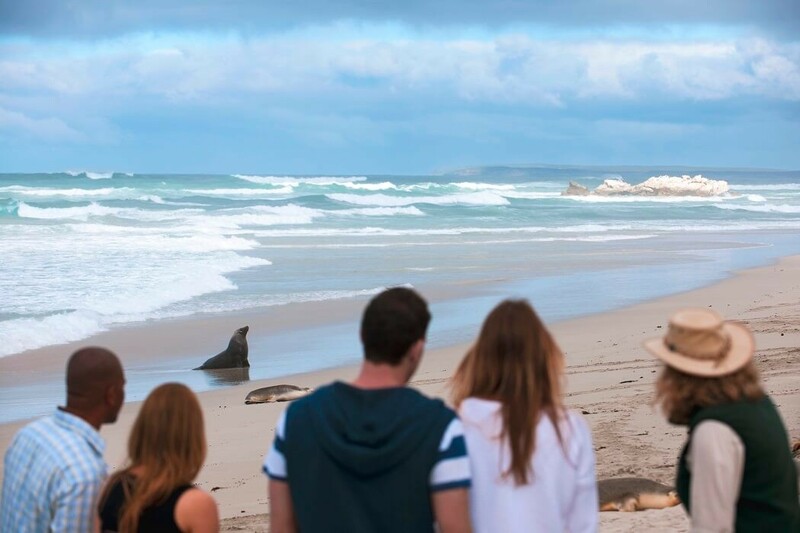 We start the two day tour by heading to Kangaroo Island via the Fleurieu Peninsula before we grab a cruise to Penneshaw, an incredibly pretty beachside village. 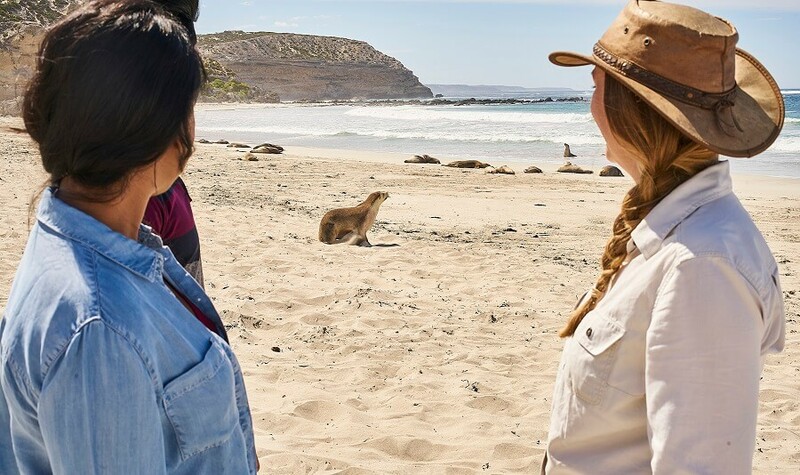 From there it’s onto Pennington Bay (make sure you have your camera to hand as the views from here are breath-taking — and you might spot a dolphin or two!). 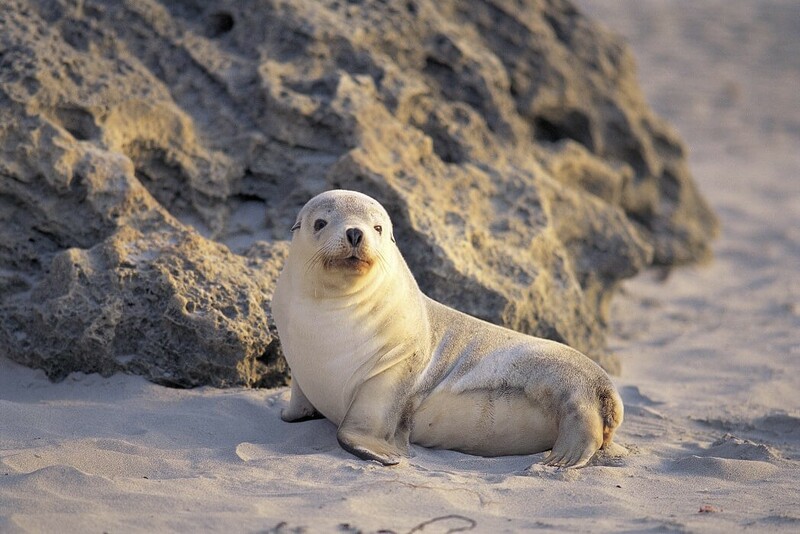 After that, we’ll make our way to Seal Bay, which is one of the most popular attractions on Kangaroo Island. 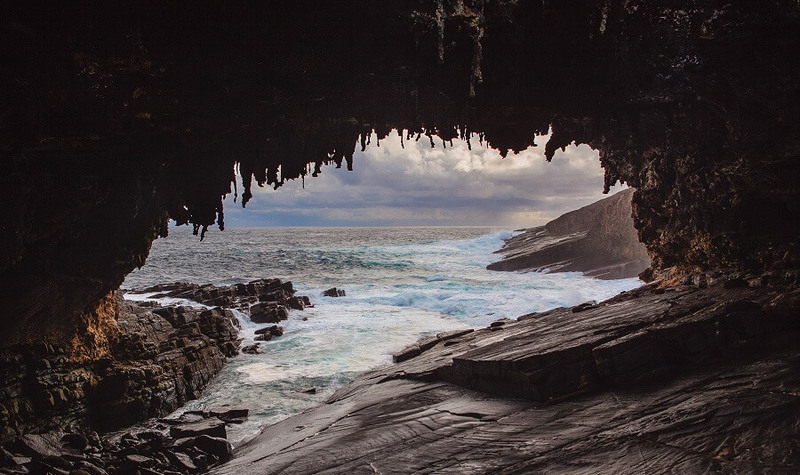 This is where numerous Australian Sea Lions bask on the sands and splash in the shallows, providing an excellent view into animal life on the island. 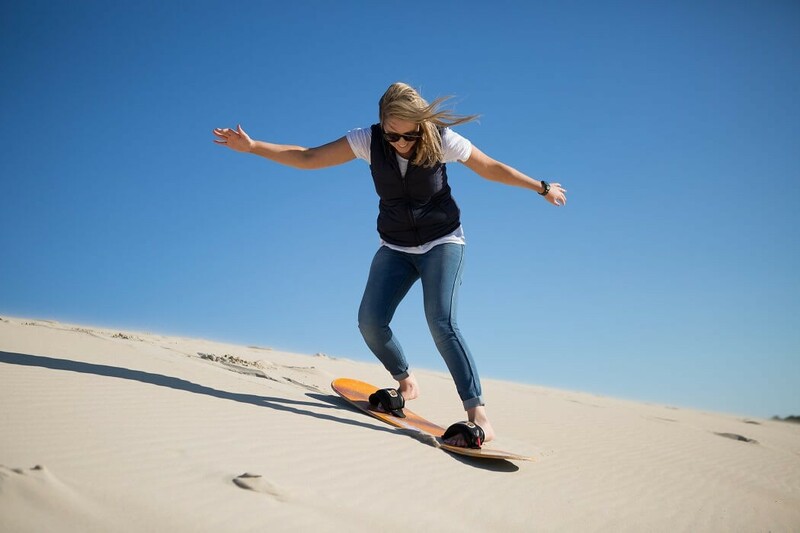 In the afternoon, you can go sandboarding down the Little Sahara dunes and kayak in the pretty waters of the Harriet River. Adrenaline junkies can upgrade to quadbike along rugged routes through the forest. We’ll spend the night on a farm in the national park after a traditional Aussie BBQ and a campfire. 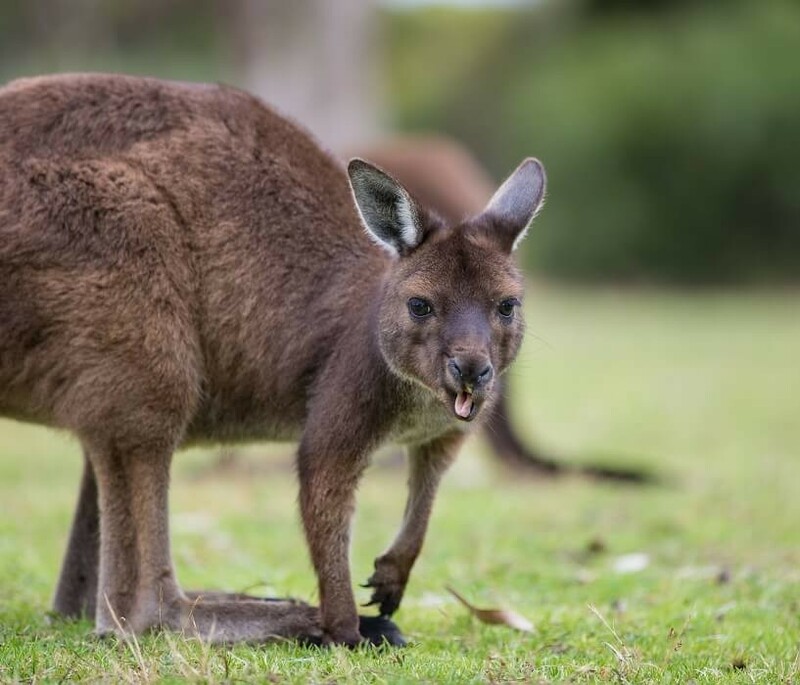 After an early breakfast, we’re off out and exploring the wildlife of Kangaroo Island on day two of the tour. 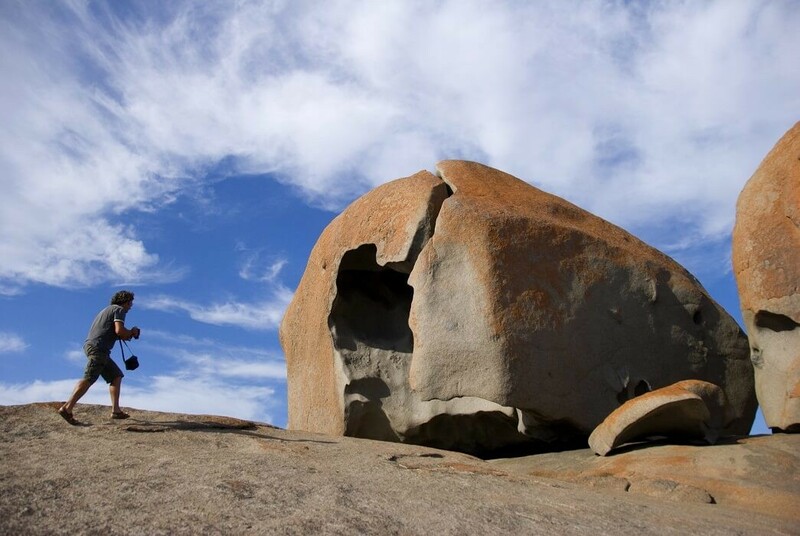 We’ll take you on a hike around the island, where you can spot kangaroos, koalas, and echidnas. 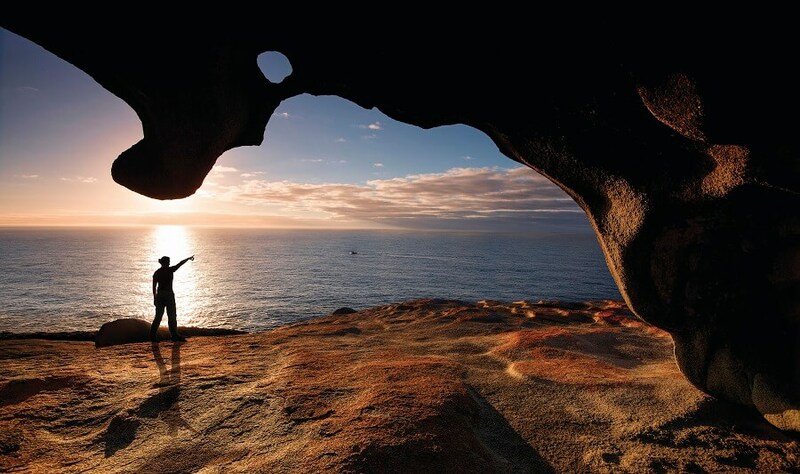 Next it’s on to the Flinders Chase National Park, which is home to two amazing geological attractions: Remarkable Rocks and Admirals Arch, the latter of which is also home to a colony of New Zealand Fur Seals. When the weather is warmer, you’ll have the chance to swim and snorkel off the coast or kick back and relax on Vivonne Bay, Hanson Bay, or Stokes Bay. Afterwards, it’s time to leave Kangaroo Island and take the ferry back to Cape Jervis. From there, we’ll head back to Adelaide, arriving in the evening of day two of the tour.